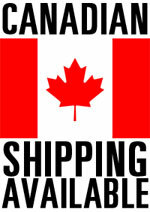 Shipping costs can be quickly seen by adding the item to the shopping cart. Enter your zip code on the shopping cart page. Then a pull down menu appears allowing the option for USPS or UPS. Express shipping is available by first selecting USPS then selecting Priority or Express. Large or bulky items need to ship UPS Ground and are too costly to ship Express. Most orders ship the same or next business day and we email the tracking. If there is an issue of compatibility or a long back order, we will send an email requesting confirmation. To check on the status of your order, reply to the Order Acknowledgment. We have a very large inventory of parts. Parts typically ship the same or next business day. Some obscure parts may take several weeks to special order. Commercial and ceiling mount air cleaners are shipped from the manufacturer directly to the customer via Common Carrier (a pallet on a tractor trailer). Large items such as commercial air cleaners may be shipped via Common Carrier (a pallet on a tractor trailer). These deliveries will require you to sign a bill of lading and you MUST also fully inspect and note any possible damage on the bill of lading. Unless otherwise noted the bill of lading declares the shipment was received in good condition. Our website charges your credit card upon placing your order. In stock items are shipped the same or next business day. Customers will be notified via email if an item is out of stock. Check orders will be shipped upon receiving payment. Mail the check with a printout of final order page to our address shown on the confirmation page. 6¼% sales tax applies to orders shipped to Massachusetts. No sales tax on orders shipped outside Massachusetts.